Meet Marcus Miller, Vice President of Business Development at System Improvements, Inc.
System Improvements, Inc. welcomes Marcus Miller as Vice President of Business Development. Through TapRooT®, Miller is committed to improving the safety of workers and patients by meeting the challenge of the lack of comprehensive root cause analysis in the healthcare industry." Marcus' knowledge of the healthcare industry and experience growing a business is a great addition to the TapRooT® team. 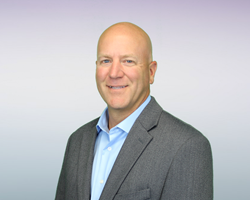 KNOXVILLE, Tenn., /PRNewswire/ -- System Improvements Inc. is pleased to announce the addition to its staff of Vice President of Business Development Marcus Miller. He will also be a TapRooT® course instructor. Miller specializes in pursuing excellence in training individuals and teams to identify and execute corrections of the root causes of issues that negatively impact their business. He is passionate about client satisfaction, engagement, and building true partnerships that can exceed goals and achieve lasting financial and operational success. With a strong background in both operations and business development, Miller served as the vice president of operations in the healthcare industry and has extensive training in business development, client/employee engagement, and management/leadership philosophies. He is an active member of Vistage, a global leader in the growth and development of business leaders. Through TapRooT®, Miller is committed to improving the safety of workers and patients by meeting the challenge of the lack of comprehensive root cause analysis in the healthcare industry. He notes that, "Healthcare, as an industry, is far behind other industries when it comes to root cause analysis. The blame culture is rampant in healthcare. If a patient safety incident occurs or an organization has a bad clinical or financial outcome, the result is usually disciplinary action and/or retraining of the person or department deemed at fault. Typically, there isn't any comprehensive root cause analysis because organizations haven't made the investment in root cause analysis training. They typically use the 5-Whys or Fishbone diagrams, which limits what is required for more reliable and sustainable results. When I realized the immense opportunity for healthcare to learn how to save lives and protect their margins through comprehensive root cause analysis, I decided to make it my mission to bring that opportunity to as many healthcare organizations as possible. Working in the oil, mining, and gas industries is extremely dangerous, and those industries have made it a priority to proactively improve worker safety and learn from mistakes when incidents do occur by committing to Taproot’s root cause analysis processes. Healthcare has the same opportunity to improve the safety of their workers and patients. I am committed to making that happen." Miller enjoys explaining TapRooT®'s mission, "We train companies how to perform a comprehensive root cause analysis. We start with how to perform the investigations and/or audits, how to identify what mistake caused an incident, how to identify what the root cause was for that mistake, and how to implement effective corrective actions so performance is improved and potentially lives are saved." Miller has a B.S. in athletic training from Lincoln Memorial University and is a licensed physical therapist assistant. Passionate about traveling with his wife, two kids, other family and friends, Miller relishes experiences that will create long-lasting memories. The whole Miller family is spirited when it comes to soccer, tennis, and volleyball, and Miller is an avid fan of “The” Ohio State Buckeyes, the U.S. National Soccer Team, and the Cleveland Browns. Founded in 1988, TapRooT® solves hurdles every investigator faces. TapRooT® root cause analysis takes an investigator beyond his or her knowledge to think outside the box. Backed with extensive research in human performance, incident investigation, and root cause analysis, TapRooT® is a global leader in improved investigation effectiveness and productivity, stopping finger pointing and blame, improving equipment reliability, and fixing operating problems.